Messenjah Selah will perform Sunday, Sept. 23, at Roosevelt Grille. Courtesy photo. How far could you get with $35 and a weekend full of choices? Well, if your tastes include reggae, snow and "namaste," then this weekend consider your money well spent. The Gathering: A Film and Music Festival begins Thursday in Ketchum Town Square with a kickoff that includes an amateur film festival, and continues with a concert by the Grammy-nominated seven-piece band from Jamaica, The Itals, in their first Sun Valley appearance. If you find yourself behind a Volkswagen, or surrounded by them, chances are they are heading to the West-topia-VW Gathering, a massive campout in the parking lot across from the Sun Valley hockey rink. Drivers with an old V-dub bus, Beetle, Vanogon or Westy are encouraged to attend to make this the Northwest's largest VW gathering and tailgate party. "The jazz fest has the RVs, and we have the tricked-out VWs," said Danny Walton, founder of Marley in the Mountains, who combined efforts with the film festival this fall. "This year we're stoked because we're working with Sun Valley's 'Gathering,' so there will be eight of the top ski and snowboard films as well as world-class reggae." The weekend is dedicated to "niceness" and to celebrating the mountain lifestyle, said Walton, himself a sponsored Telemark skier. "We are spreading the good vibes and the skiing vibes and getting people stoked for winter," he said. "And, it's the nicest time of year, all the locals love it—hot days, cool nights, it's awesome." Early ticket buyers are eligible for a 20/20 pass and other prizes, he said. 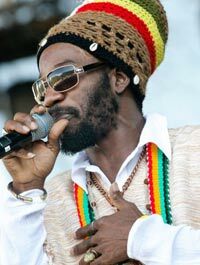 Friday night, Sept. 23, Jamaican artist Messenjah Selah, backed by DJ Vision and Lions Den Unlimited Soundz as well as Italy's DJ Shera and Boom Draw Sound will rock the Roosevelt Tavern at 10 p.m. The Itals concert will be held Saturday night on the Sun Valley Pavilion lawn at 8:30 pm. Before they head back to reality, participants can join a community yoga offering on Sunday morning at 10 a.m. in Ketchum Town Plaza. Snow Salutations had 90 people practicing yoga together in the Town Plaza last year, and, as Walton noted, "We were blessed with great snow last season." Walton said his off-season productions are "inspired by nature, guided by love and blessed with music." "We create world-class events that everyone can afford and enjoy to the fullest extent, share experiences and continue to spread the good feeling of mountain culture, acceptance and niceness." Cost: $35 all weekend includes all events, movies, two concerts and a community yoga event. Details: visit www.sunvalley.com/gathering or www.marleyinthemountains.com.